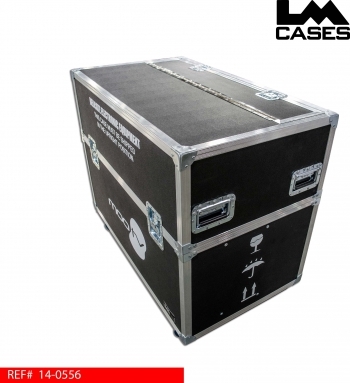 This case was designed for Moo TV for use as information displays and scenic elements on tour. The case is designed to hold a 50" monitor mounted on an electric lift as well as a monitor in a separate compartment as a spare. 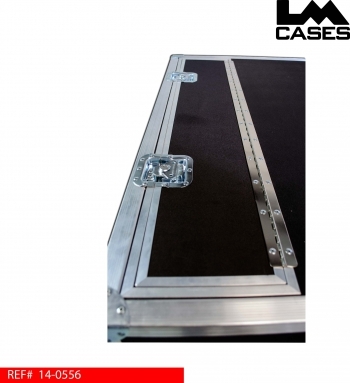 The case is designed to be used with the top lid on, a trap door is used on the top allowing the monitor to rise up through the lid without the need to remove the large lid. The LM cases custom integration department mounted a Hubbell power inlet box on the exterior to supply power to the monitor and lift. The CI department also installed a locking power strip to ensure the monitor and lift power sources did not become disconnected in transit. 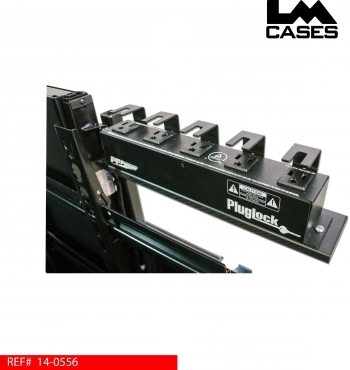 The lift is designed to be operated either by a rocker switch or hand held remote control. 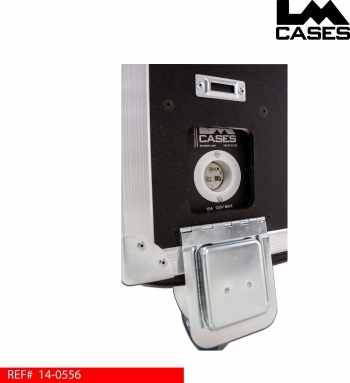 The spare monitor is held in a Crosslink foam lined compartment. 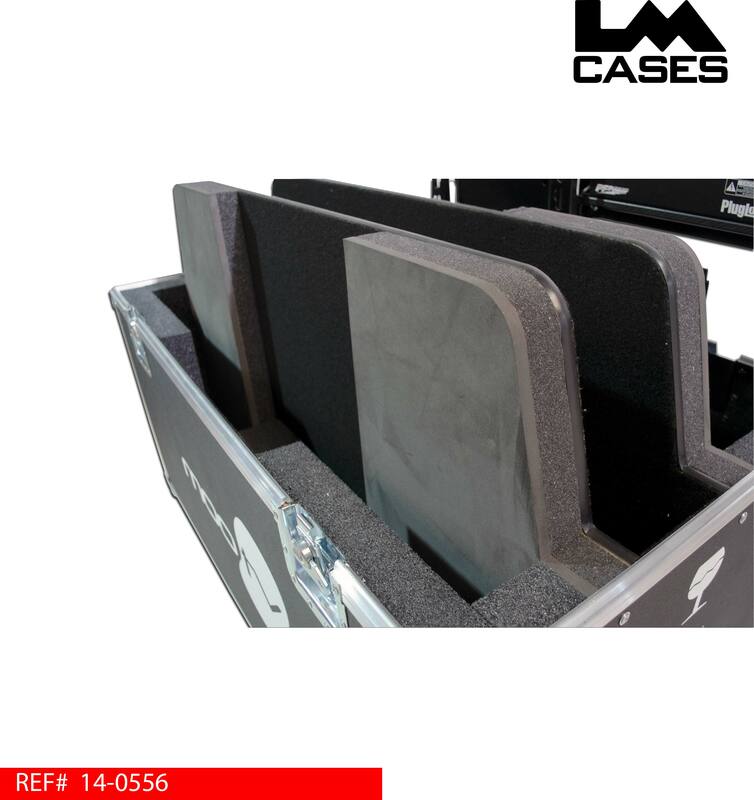 Crosslink foam is a special non abrasive type of foam that protects the monitor screen and bezel from scratching during rough transport. 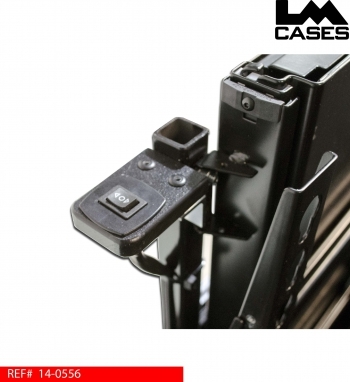 The monitor mounted on the lift receives the same Crosslink foam protection where the monitor face comes into contact with the case. 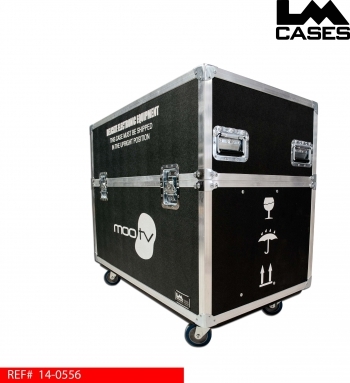 The exterior case is built out of 3/8" plywood laminated with black ABS plastic and features 4" Colson casters, custom silkscreens of the Moo TV logo, international shipping symbols and deep recessed hardware. 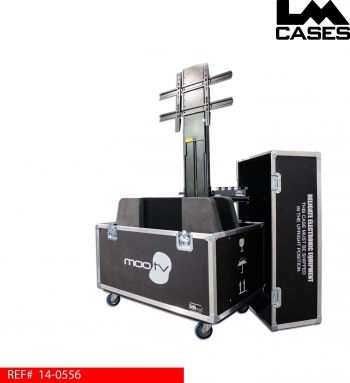 Special thanks to Moo TV!